Laundry can be an expensive undertaking, especially if you have a houseful of people. 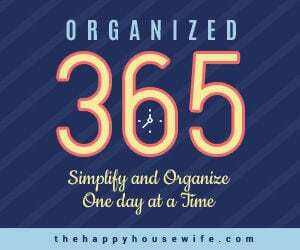 With laundry sometimes needing to be done daily, the cost can easily add up over time. 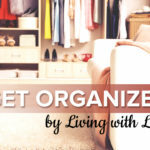 While there isn’t an easy way to get rid of the task, you can find ways to save on laundry. 1. Use a clothes line. If you have a lot of laundry to do or nowhere for a clothes line, this may not be a practical option for you. However, if you have some room in your yard, or even somewhere unexpected, drying some of your clothes on a clothes line can save the cost of running your dryer. 2. Cut dryer sheets in half. If you use dryer sheets, they really are larger than most loads require. It can be easy enough to cut them or rip them in half. This means that a box that is meant to do 120 loads can actually take care of 240 loads. That’s a huge difference, and will cut your bill for dryer sheets in half every time you do it. Or, you could ditch the dryer sheets and make your own fabric softener. 3. Make your own laundry detergent. Laundry detergent seems to get more and more expensive. With this homemade high efficiency laundry detergent recipe that costs just four cents a load, you can really save a lot on your laundry budget. 4. Upgrade to high efficiency appliances. While there certainly is a cost upfront for these, it can mean a savings in water and energy usage. Plus, it can save time since many hold a larger load of laundry than traditional washers and dryers. 5. Use vinegar as a fabric softener. Vinegar can be a much less expensive option as a liquid fabric softener than brand name liquid fabric softeners. Vinegar can soften fabrics and remove bad smells at the same time. 6. Make sure laundry loads are full, but not too full. If your loads are too small, you may be spending too much doing your laundry. However, if you are overloading your washer, your clothes won’t get properly cleaned. Plus, it means that when you put everything in the dryer, you might need to run multiple cycles to get everything dry. 7. Get the best prices on your laundry supplies and stock up when you find them. It’s easy to buy laundry supplies as you run out. Instead, make sure you’re getting the best prices by setting up a laundry supply price book. 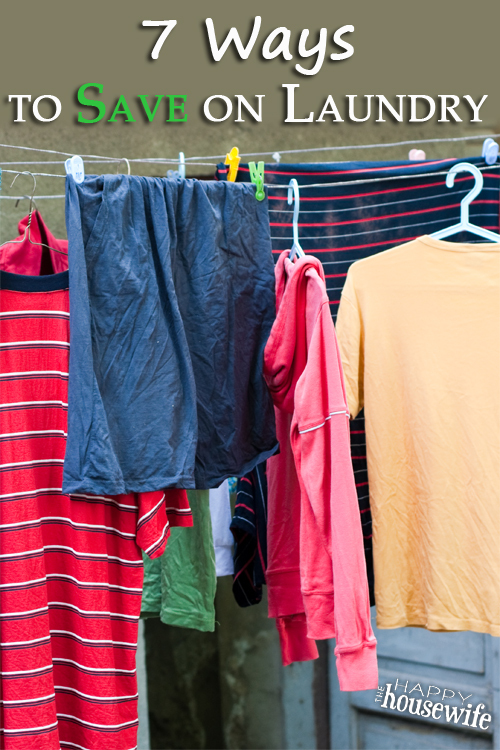 What are your best tips for ways to save on laundry? I own a Phoenix maid service company, and love coaching clients on ways to save money. These are some great tips. I would even suggest getting rid of dryer sheets completely and replacing with tennis balls. They make a racket in the dryer, but the clothes will come out super soft! I hate to state the obvious, but cutting down on laundry by wearing clothes more than once and using towels more than once is also a huge money saver not to mention time saver as well. We definitely use towels more than once (otherwise, we’d have an insane amount of laundry! ), and we wear some clothes more than once. It really depends on the type of clothing. Great point to add to the tips! I know Heather, I use my towel and hang it up. I wish I could convince my son to do that, when he takes 2 showers a day he uses 2 towels.